News: NHRC directs Pondy Govt. 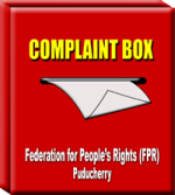 to take action on complaint from Federation for People’s Rights – Federation for People's Rights (FPR), Puducherry. Puducherry, Apr 3 (UNI) The National Human Rights Commission has directed the Puducherry administration to take appropriate steps within eight weeks in the death of three people at the Government Medical College here while undergoing dialysis. 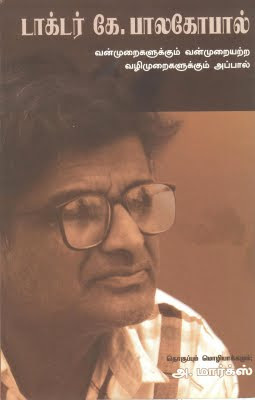 Federation for People’s Rights Secretary G Sugumaran, representing the NHRC, in a release here today said subsequent to the death of three patients following a power failure at the Medical college on March 9, Health Minister Malladi Krishna Rao had suspended the medical offices, nurses and technician on duty at that time and announced a solatium of Rs 5 lakh each to the family of the deceased. On March 13, the Federation lodged a complaint with the NHRC that the top medical officers, including the director health should be suspended and the affected families should be provided Rs 25 lakh each. The NHRC had directed the administration to initiate appropriate action within eight weeks and report to the complainant, he added.